Designed by Christopher Wren in 1680, St Anne's is a red-brick building in the form of a Greek cross, with a small parkette outside. The Baroque interior is largely done in dark-stained wood and gold. Above the altar are the tablets of the Ten Commandments, flanked by side panels with the Lord's Prayer and the Apostles' Creed. Bright fabric banners hanging from the altar and pulpit add a punch of colour. 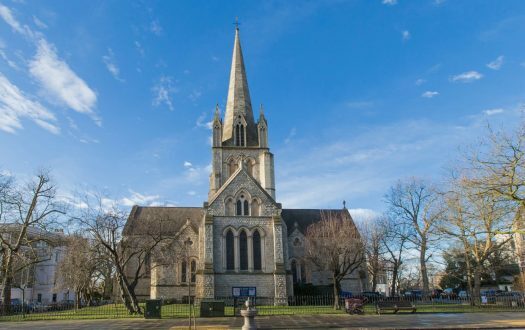 In addition to its regular morning services, St Anne's holds jazz, choral, and Bach vespers once a month, and afternoon services in Swahili and Latvian on alternate Sundays. 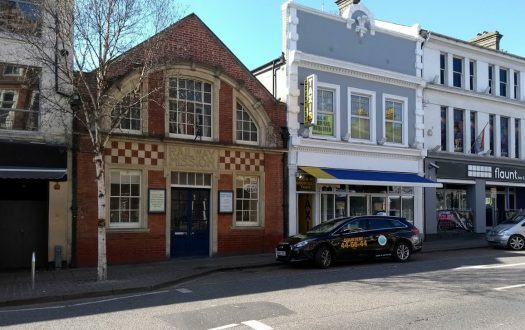 St Anne's Music Society also hosts over 100 concerts every year, including free lunchtime concerts and an annual Bach festival. 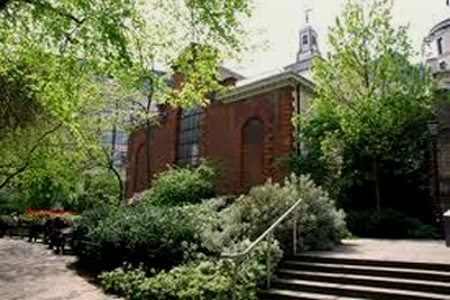 Notably, St Anne's is the only English-language Lutheran Church in London, although there is a Lutheran student chaplaincy. St Anne's in located in the City of London, and the surrounding neighbourhood is a dead zone on weekends. However, the area is well served by a number of Tube stops and bus routes. The Revd Tumaini Kallaghe presided over the service. Martin Knizia, director of music, served as cantor and organist. Jean-Marc Heimerdinger, lecturer in Hebrew and Judaism at the London School of Theology, delivered the sermon. According to the website, "Holy Communion." According to the sign outside, "Choral Eucharist." According to the service leaflet, "Holy Eucharist." According to the first words spoken, "Morning Service." The church probably seats around 150 people, but there were only a few dozen people in the congregation on this given Sunday. I was welcomed by a greeter who handed me a service leaflet and hymnal. Recognizing that I was new, she introduced me to the pastor and a few other church members, and we chatted while we waited for the service to begin. Later, an usher brought me a welcome package with information about the church history, services, and concerts. There were two rows of wooden chairs at the front, followed by five rows of high-backed, hard right-angled pews. No slouching here! "Good morning, and welcome to our morning service!" Evangelical Lutheran Worship, the liturgical book and hymnal of the Evangelical Lutheran Church in America and the Evangelical Lutheran Church in Canada; and a reusable leaflet with the order of service. Martin Knizia served as cantor and played on two separate pipe organs: a larger fixed one and a smaller portable one beside it. His playing was excellent throughout, including a lovely Bach prelude and postlude. The decor. I loved the contrast between the seriousness of the architecture and the playfulness of the banners. I also spent some time wondering why there were columns of a lion and a unicorn in a Lutheran church; apparently the building was originally consecrated as an Anglican church, and the two are heraldic symbols of the British Crown. We sang hymns from Evangelical Lutheran Worship, so the music itself was mostly traditional liturgy, but the worship had a modern, intimate feel to it. 5 – It took me a long time to figure out what Jean-Marc Heimerdinger was getting at, and it wasn't until the end that I started warming up to the message. The sermon felt longer than the 15 minutes, yet I felt that he ended up saying less than he could've in that time. Another woman gave a pared-down version of the sermon for the children's lesson, and that made much more sense to me. Maybe I need to go back to children's church. If we are to accept the word of God, we must also be willing to accept his claim to our lives and align ourselves with Christ. As humans, we are constantly stumbling and must therefore continually repent and re-align ourselves with Christ each day. That fine tradition of Lutheran hospitality, or the readiness to address the needs of others and to make them feel welcome. For example, the congregation were invited to say the Lord's Prayer in the traditional or modern form or in their own language, and we had a choice of taking communion from a drinking cup or a dipping cup. Pastor Kallaghe sang every line of the Great Thanksgiving in the wrong key, no matter how hard the organist tried to get her back on track. Several members of the congregation came to greet me after the service and invited me to join them for tea and biscuits at the back of the church. While waiting in line, I got to chat with a few more people, who all took a real interest in getting to know me. The cherry on the sundae was when I was asked if I wanted to help out with next week's service. I liked that (1) they had the confidence to believe that I was going to come back, (2) they wanted to make me feel part of the community right away, and (3) they expect service as a key component of Christian community. 8 – I enjoyed the overall atmosphere very much: formal but intimate, friendly without being fake. The music was excellent, as can be expected given the number of concerts the church puts on throughout the year. The sermon wasn't great, but I'm told that there is a regular rotation of speakers, so a single lacklustre one is less of a deal-breaker. Yes. 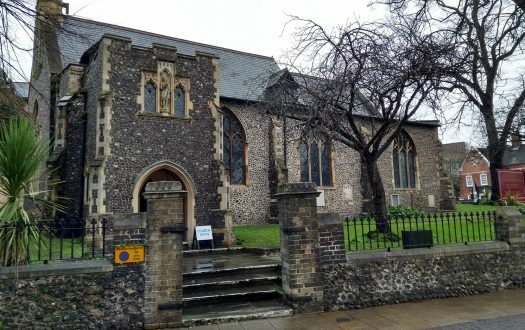 The atmosphere was very hospitable, and the service made clear that the congregation was welcoming of cultural diversity, accommodating to the differently abled, and environmentally aware (they had reusable offering envelopes and service leaflets). Warm fuzzies from an all-round good service.